Architect Asma Husain had just taken the new position as lead designer at Shanghai-based creative firm MRT Design, when her first project came across her desk. She was asked to create an innovative and technologically advanced design for Maqiu’s Future City project being undertaken by The Greenland Group. But, the insanely cool and inspiring opportunity to create such a space came with a catch - the entire project needed to be completed in only four months! Although the team was forced to make instant decisions, the time deficiency did not conquer the beauty of the space. “The entire building was custom-designed and built, down to the hidden light troughs in the walls and ceiling.” The architect noted. Sculptural white walls swoop through the space and organically form into tables, display units and seating. Here, ambient lighting is dynamically integrated into the ceiling and walls in the form of recessed sweeping strips intended to add a sense of movement and dimension to the space. 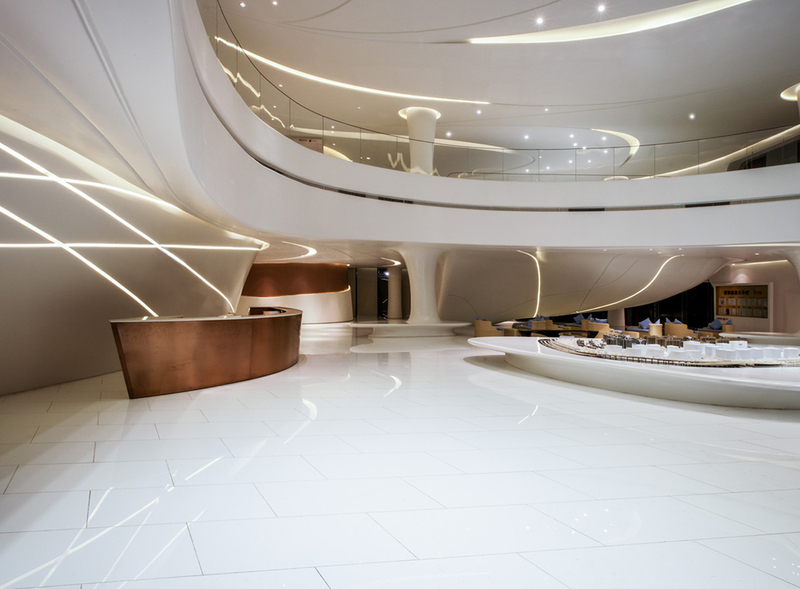 MRT worked closely with E-Grow - a high-quality 3D fabrication company who recently contributed to the Guangzhou Opera House - to create curvaceous forms that sinuous connect to one another. 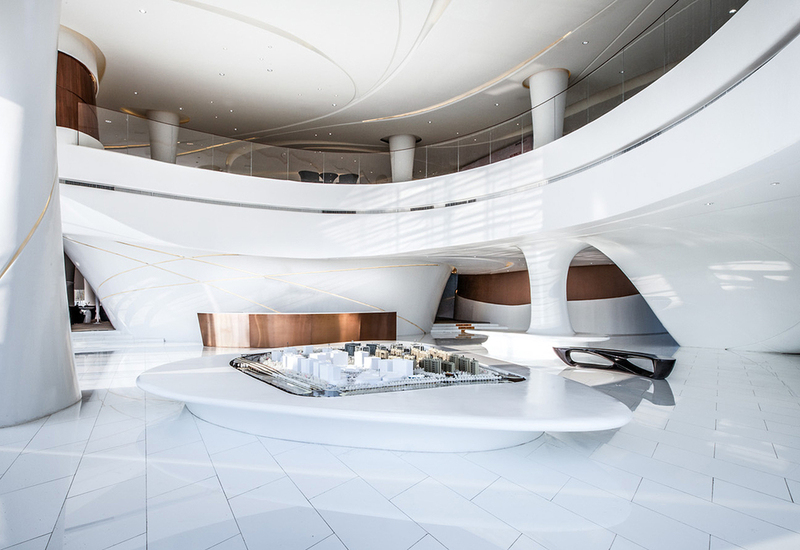 The spacious oblique lobby displays 3D models of the company’s most recent developments, private sales offices and a lavish lounge used for entertaining – all spaces speak the same curvilinear architectural language.